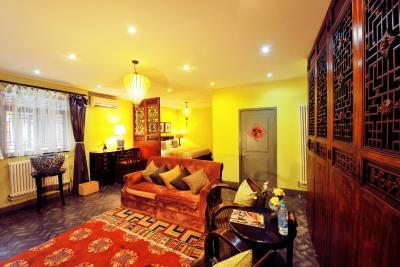 Lock in a great price for Hotel Cote Cour Beijing – rated 9.3 by recent guests! Everything was amazing! We were in touch with staff before our arrival to organize a quick tour to a fragment of Great Wall on a very tight schedule and they nailed it! 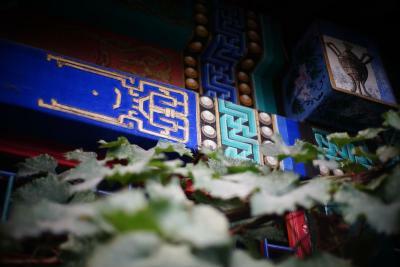 Hotel itself is beautiful and I regret we spent so little time in it. 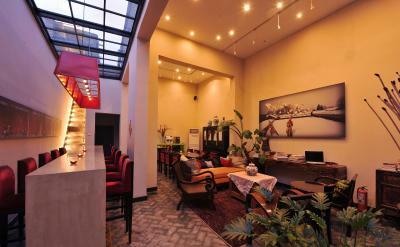 Front-desk staff was waiting for our arrival till late night and were super helpful. We were leaving very early next morning before the breakfast time and they provided us with sandwiches as a replacement for breakfast. It may be tricky to find the hotel if walking from subway station but just trust Google Maps. 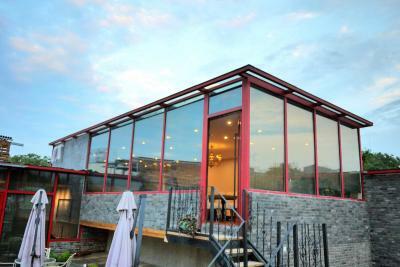 Otherwise, location is beautiful and in the heart of the city no that far away from subway and historical landmarks. Staff - all spoke excellent English. Communication prior to arrival via email was prompt and helpful. They arranged for a driver to pick us up when we landed at airport. During our stay they were helpful in providing maps, suggestions, metro instructions, hired a driver to take us to the Great Wall, and taxi to train station upon departure. All these things were extremely important as we were traveling on our own to China. Breakfast was outstanding. Location was walking distance to major areas. 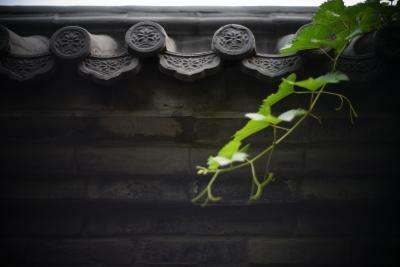 Hutong area is authentic but may not seem as safe as it is. It definitely enhanced our cultural experience. 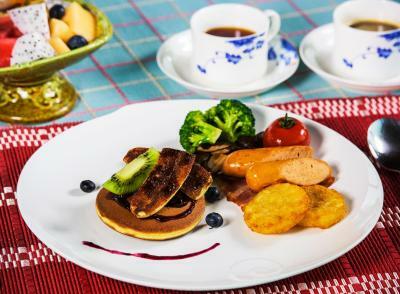 The breakfasts were fantastic! 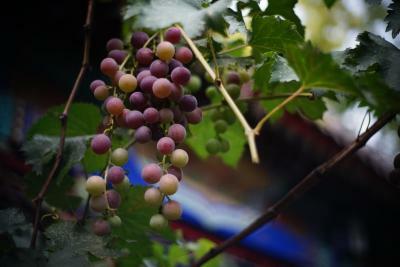 Every day a little different, with a little surprise every morning. Fabulous coffee. 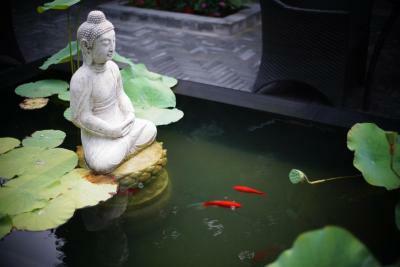 The staff was super helpful and we loved our stay here. 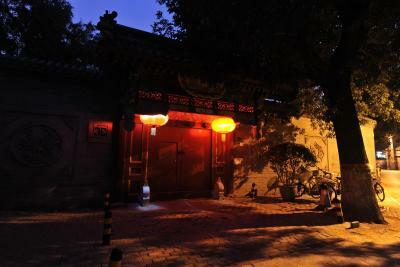 A restored courtyard house in Beijing's historic hutongs (alleys), it is almost a destination unto itself! 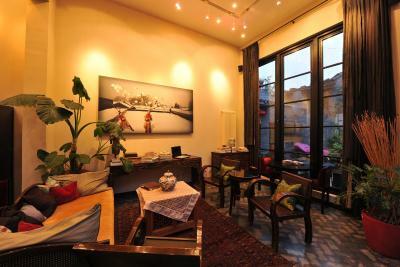 Its location is fantastic--within walking distance of the Forbidden City and other areas of interest. Our room was beautifully decorated with a state of the art bathroom. And the breakfast included with the room was elegant and delicious. 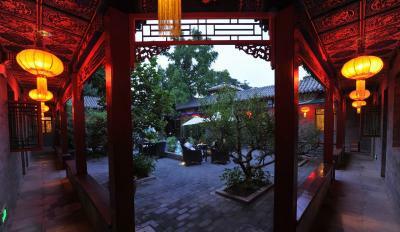 I can't say enough wonderful things about this hotel...if ever in Beijing again, I would have to stay here. 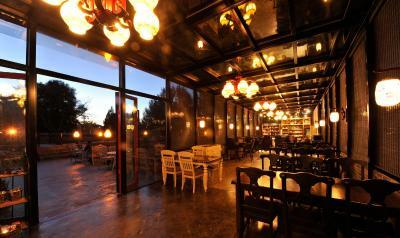 Great location, close to forbidden city. 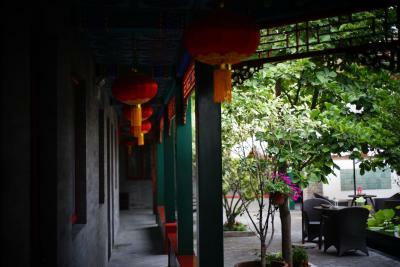 Lovely traditional decor with a lovely courtyard area. 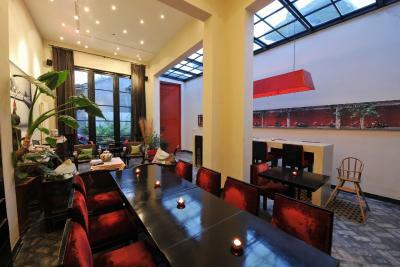 The restaurant in the hotel is lovely, food was very yummy and good value. The hotel staff spoke excellent English and helped us when booking taxis etc and gave some good advice and tips on the area and what to do. We really enjoyed our stay and would highly recommend this hotel. The courtyard was our favorite feature! 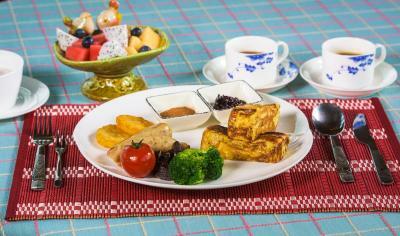 We also loved that they catered to our vegetarian lifestyle and had different breakfast offerings daily. Great location as can walk to all main sites. Totally quiet. 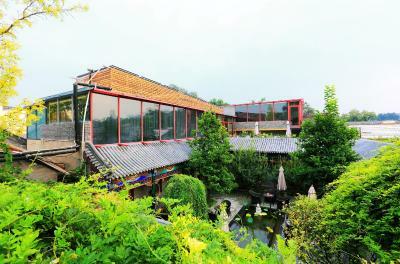 Staff exceptional English skills and very helpful printing directions to get tolocations such as Great Wall. 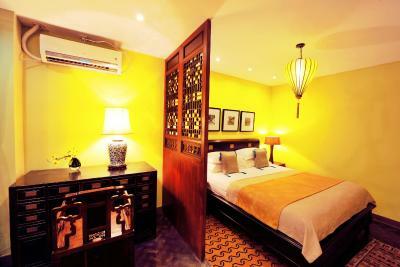 Ideal boutique hotel. 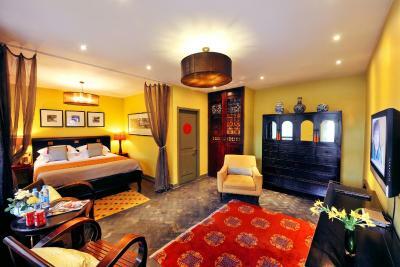 Boutique hotel atmosphere. Low rise. Friendly staff. Excellent breakfast. 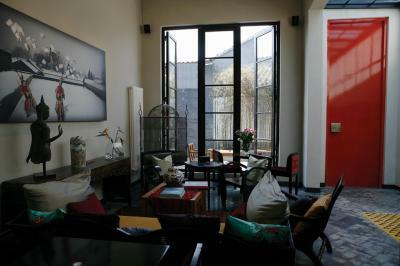 Relaxing sitting room and lively open air courtyard. Best choice we made in housing! 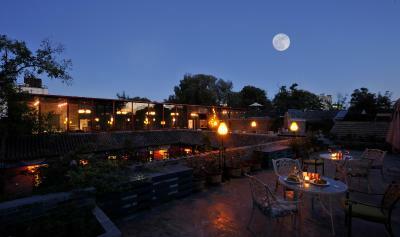 The service was great, the location was good, and the rooms were amazing! The night before we had stayed at a more upscale location, which ended with a ‘nasty’ tast in my mouth. While as we moved to this location, the customer service and location was just what I needed to perk my day up again! 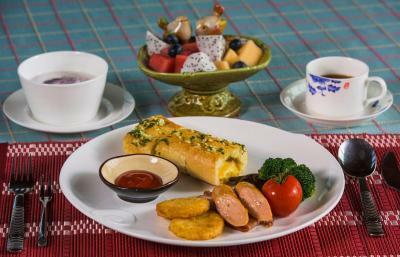 The staff was great with breakfast being a very delicious part of our stay. I would recommend everyone to this location. 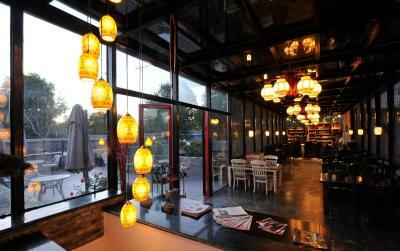 It’s small and has a nice authentic Chinese experience to offer anyone and everyone! 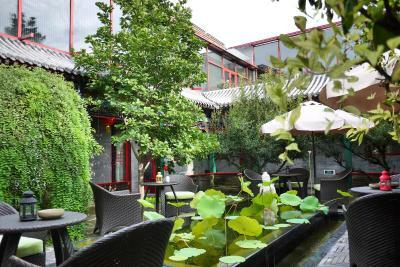 Hotel Cote Cour Beijing is located in the ancient Yanle Hutong with over 500 years' history, around a 15-minute stroll from Wangfujing Pedestrian Street. 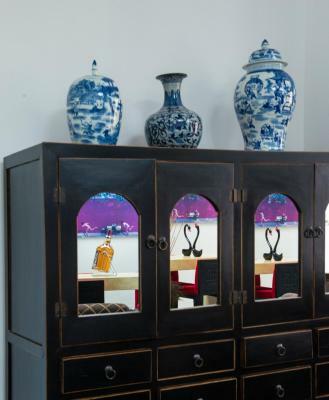 Combining modern chic designs into the traditional architectural structures, the themed hotel offers modern accommodations with free Wi-Fi access. Elegantly designed guestrooms at Cote Cour are fitted with flat-screen TVs and tea/coffee making facilities, plus ground heating and air conditioning. 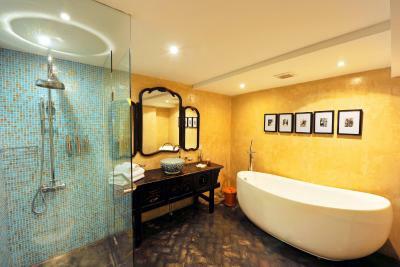 The private bathroom comes with bath amenities and shower. 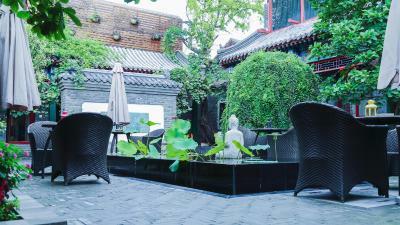 Guests may chill out on the relaxing roof terrace or soak up the leisurely atmosphere in the courtyard. 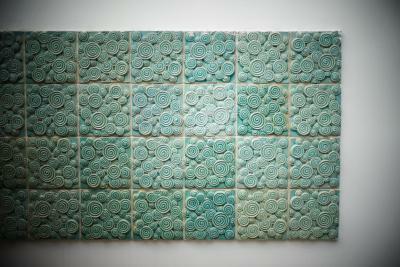 Beijing Cote Cour Hotel offers laundry and dry cleaning services and airport transfer service can be arranged upon request. There is a tour desk to assist guests with ticketing and travel arrangements. 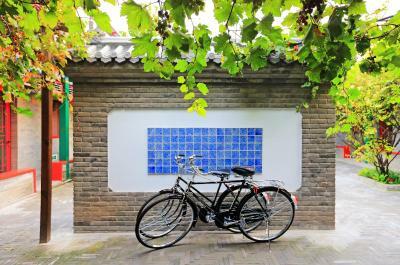 Bike rental service is offered, enabling you to cycle in the Hutong area at ease. 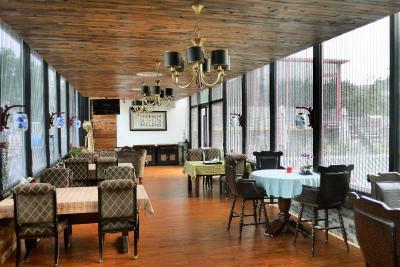 The hotel’s restaurant serves authentic Chinese cuisine. Barbecue facilities are available on site. 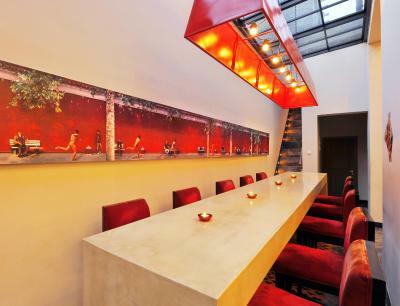 Drinks and light refreshments can be enjoyed at the hotel’s bar. 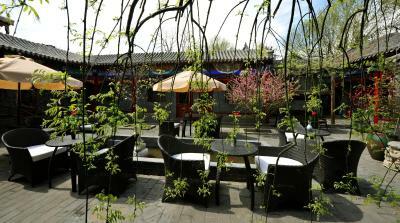 Hotel Cote Cour Beijing is around 2.5 mi from Beijing Railway Station. 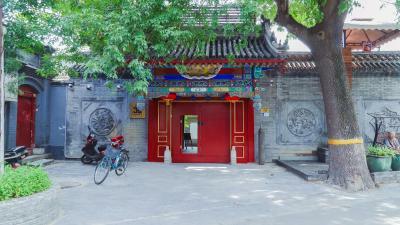 Tian'anmen Square lays around 2.2 mi away, while the Forbidden City is located around 1.9 mi away. Beijing Capital International Airport is around 16 mi from the hotel. 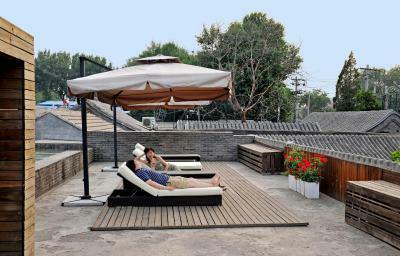 When would you like to stay at Hotel Cote Cour Beijing? 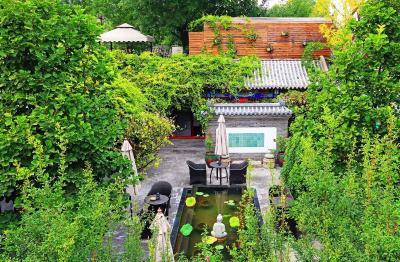 The room is equipped with underfloor heating, water-cooled air-conditioner, solar water heating system and HEPA air purification system. 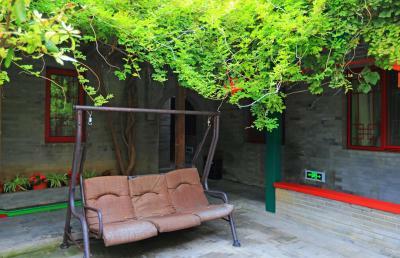 The room is equipped with underfloor heating, water-cooled air conditioner, solar water heating system and air purification system. 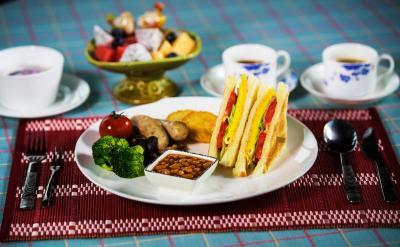 Free breakfast is offered. The room is equipped with underfloor heating, water-cooled air-conditioner, solar water heating system and air purification system. 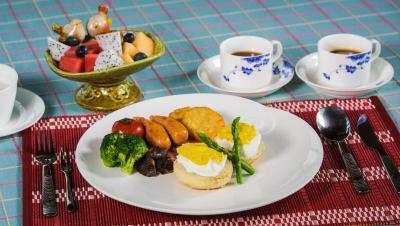 Free breakfast is offered. 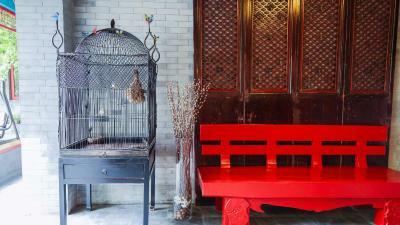 House Rules Hotel Cote Cour Beijing takes special requests – add in the next step! 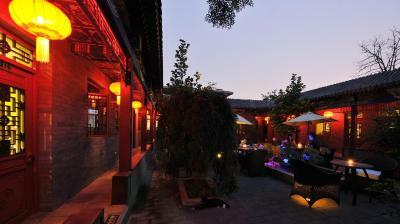 Hotel Cote Cour Beijing accepts these cards and reserves the right to temporarily hold an amount prior to arrival. 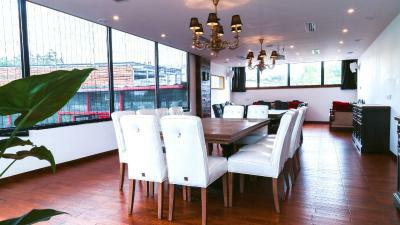 The property provides chargeable airport transfer service. 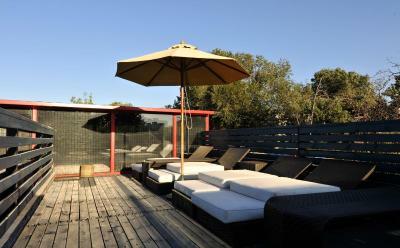 Guests who wish to use the service are kindly requested to inform the property in advance. Contact details can be found on your booking confirmation. In accordance with Chinese Government Law, effective from 1 June 2015, smoking will be prohibited throughout the hotel including all guest rooms, indoor restaurants and bars. Guests who arrive later than 23:00 will be able to collect the key from the security staff and get into the room directly. Check-in could be completed in the morning of the next day. 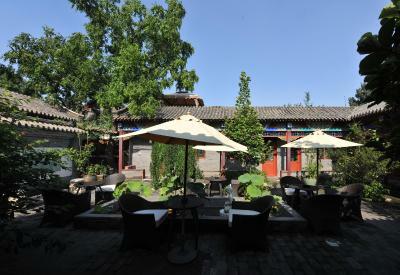 Please inform Hotel Cote Cour Beijing of your expected arrival time in advance. You can use the Special Requests box when booking, or contact the property directly using the contact details in your confirmation. Pricey, a little bit hard to find. But great stay! the rooms was decorated very nicely. Maybe closer to subway or main road, but that may have had drawbacks too. Only think would be no tea/coffee facilities in the room. Chef and staff were beyond expectations - they are what make Cote Cour an unique and special experience. There is really nothing to complain about. Everything was perfect. The staff was friendly and warm. It made the overall stay a relaxing and comfortable one. Internet almost non-existant, but probably due to China internet in general rather than the hotel. Fabulous hotel, fantastic ataff and great breakfast.